The first international Orchestra to visit Watford Colosseum for many years is one of Russia’s finest, the Tchaikovsky Symphony Orchestra. Famed for their outstanding string sound and Tchaikovsky interpretations, the concert opens with Vaughan Williams’ serene and beautiful Fantasia on a Theme by Thomas Tallis. This will be followed by one of England’s most distinguished violinists, Jennifer Pike performing Sibelius’ virtuosic and dramatic Violin Concerto. The evening concludes with Tchaikovsky’s elemental 5th Symphony – a particular treat that no music lover should miss. Reserve a table in the Forum Restaurant for pre-show dining before TCHAIKOVSKY SYMPHONY ORCHESTRA and enjoy high-quality modern cuisine and exceptional service. 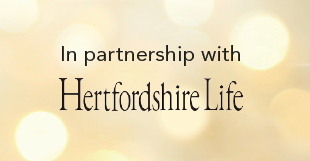 Hertfordshire Life are proud to support Watford's World Class Concert Season 2016.